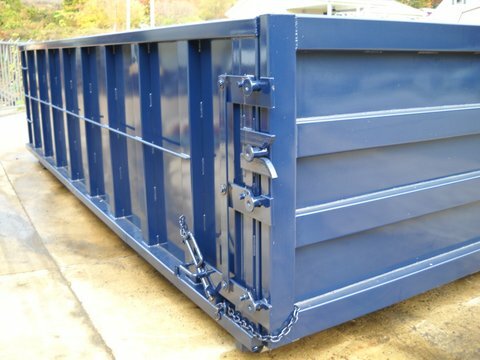 Paulsonbilt standard 30 yard roll-off container. Paulsonbilt's latch assembly is second to none, shown here. Paulsonbilt 20 yard water tight roll-off container. 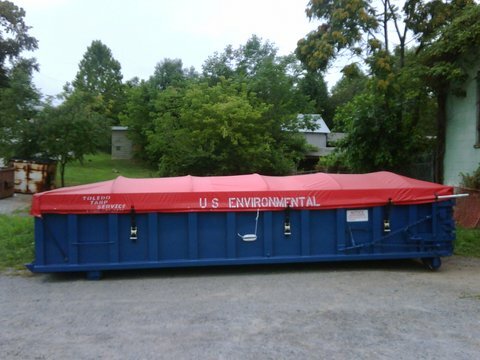 Shown with user friendly custom roll-over tarp system.